Tell me a brief background about yourself, where you were born and what piqued your interest in building trades and organizing women. My parents are from St. Louis but my Dad was in Vietnam so he had a taste of living outside of St. Louis, my parents moved to California while pregnant with me (I saw the Grand Canyon while I was in the womb). I was 3 months old when they returned – my mom didn’t like being away from family. I was raised in St. Louis (Maplewood), my parents divorced when I was pretty young. I was born a feminist. Living with a divorced mother and 2 younger sisters just reinforced those ideas. In 4th grade, my shop teacher told us to get sand paper from our dads for a project we were doing, I raised my hands and asked if I could get the sandpaper from my mother. I was always challenging idea about gender roles, then I went to college and found there were others like me and that they had a name for us. My first professional job out of college was at a shelter for battered women, I worked there for 12 years. What are your personal experiences that drove you to found MOWIT? After 12 years at St. Martha’s Hall I was ready for a career move. I was doing some career exploration and at the same time the battered women’s movement was focusing on economic issues for women realizing that until women gained economic freedom they were not going to solve the issues of domestic violence. In my career exploration, I discovered a job ad for an executive director for a tradeswoman org in Massachusetts. I didn’t want to go to MA but I knew that was work I could get excited about. I was always a feminist but I was especially interested in challenging gender roles. I was always the one fixing things at the shelter, changing tires and the one with the drill. I immediately starting searching for an organization closer to home and discovered Chicago Women In Trades – went to visit in January 2006 and then started gathering information here and finding people interested in the issue. When did you found Missouri Women in Trades? By summer 2007 I had gathered together a small group of individuals interested in starting a tradeswoman organization in Missouri and secured start up funding. That summer we wrote by – laws and incorporated in February 2008. Missouri Women In Trades is dedicated to promoting and supporting women working in the construction trades. Tell me about the beginning of MOWIT, was the organization well-received by women? men? employers? Really MOWIT is still beginning, we are in our 3rd year. We have been amazed at how well received this organization has been by women, men, unions, employers, and many others. Of course there are those who don’t like the idea of MOWIT but overall we have encountered a very positive reception. Why do you believe women are under-represented in the building trades? I believe that it really comes down to the ideas about what women can or should do. Are women under-represented in building trades jobs nation-wide? Nationally women make up about 2% of the construction trades workforce. What has Missouri Women in Trades achieved since its founding? Our most important accomplishment since our founding is to bring awareness to the issues women face entering and continuing careers in the construction trades. When we first started none of the groups thinking about or talking about diversity in the trades workforce were really addressing women in the trades, they might say women and minorities but they really only focused on minorities. There is much more focus on and consideration of women in the trades workforce now that we are there representing women. We have also made a lot of progress raising awareness of the career opportunities in the trades among young women through our summer camp, ms fix it workshops and presence at community events and career fairs. What is the greatest strength of the organization? I think our greatest strength is that we are taking a positive approach to changing ideas about gender roles. We learned early on that a positive approach was most likely going to get us a lot further. What is the biggest challenge faced by MOWIT? Cash, Cash, Cash!!! We need more resources to carry out our mission – we need human and financial capital. Everything we do takes people and money. How do you plan to draw young women into the industry? We have several programs that introduce girls to the construction trades – Mentoring A Girl In Construction Summer Camp, Ms Fix It Workshops and participation in community events and career fairs. We hope to expand and improve these programs as we grow our capacity. What kind of relationship does your organization have with trade unions? 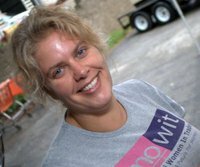 Missouri Women In Trades has taken a positive and collaborative approach to working with unions and contractors. We have built strong relationships with several of the unions – many support our annual tradeswoman calendar. What do you hope to achieve in the next 5-15 years? Oh my that is a big question. Our ultimate goal is that women will have full access to career opportunities in the construction trades– we have a lot to do to get there. First we have to build programs that support and promote women working in the trades and that support the unions and contractors that are working to diversify their workforce. In our first 2-3 years, we have had great success raising awareness of the career opportunities for women in the trades, as we grow we want to formalize our recruitment efforts through regular career orientations and career planning services, and expand our support services by offering a mentoring program to support new apprentices. We want to offer education and support to our training partners and the unions and contractors. And finally we want to develop the organizational stability to continue to serve tradeswomen and aspiring tradeswomen. We participated in the Social Entrepreneurship and Innovation Competition at Wash U in 2009, through this program we developed a 5 year business plan. This program and the business plan we produced created a clear path for our organization.